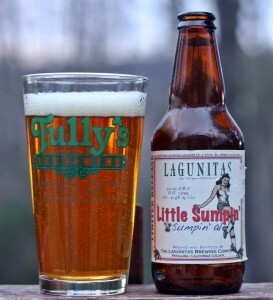 Lagunitas has been available in Maine for less than a year and I have only tried a few of their beers but overall I have enjoyed their offerings. This one is a pale ale but is very close to being an IPA. Appearance is nothing special with a decent copper color and thin white head. Leaves a bit of lacing on the glass but again nothing to get too excited about. Aroma has lots of floral hops and is very pleasing. The taste has a bit more citrus than the nose but is balanced well with plenty of bready malts. Hops are definitely dominant in this one and for me that is not a bad thing. The beer is quite refreshing and very easy to drink for a 7.5% ABV beer. A nice pale ale that nearly crosses the line to an IPA. Brewers Description: Sneaky Smooth with a Touch of What We Call Wheatly-esque-ish-ness. Crispy Wheat and Pale Malt flavors with a Big Round & Juicy Hop Finish. 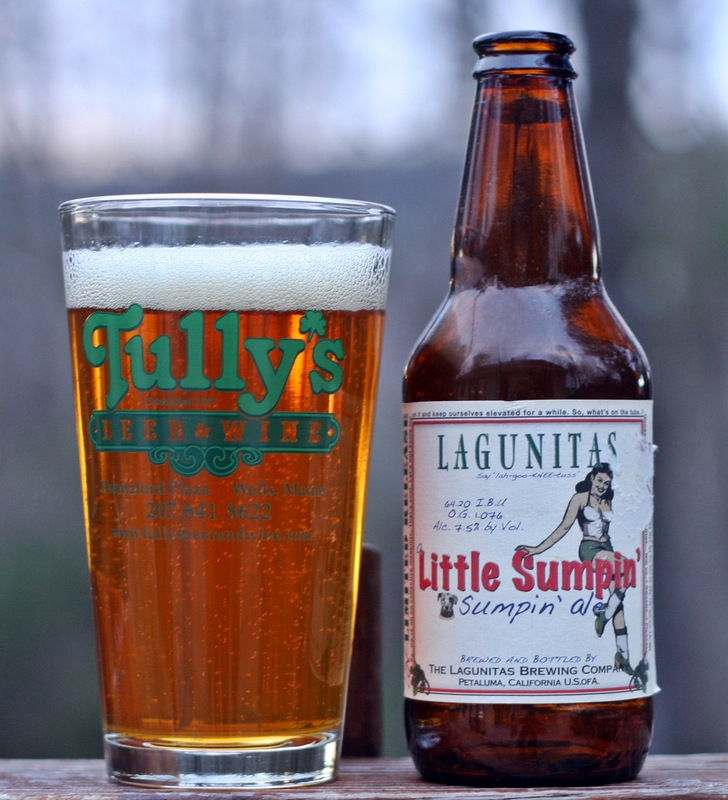 Everyone Needs A Little Sumpin’ Sumpin’ Sometimes. You Can Get It All Year Now… in a Six-Pack!